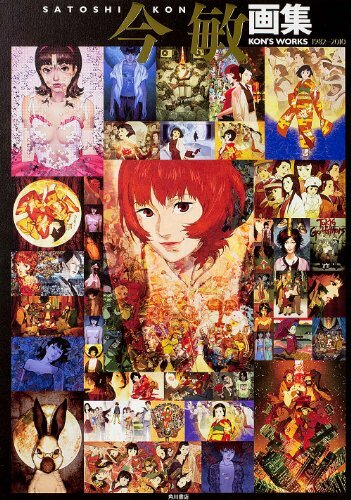 This is the retrospective collection of artworks by Satoshi Kon, an animation director whose films I really like. Unfortunately, he passed away in 2010 at the age of 46. It's a 128-page paperback that features his film art, early comic artwork and even includes some life drawings and unreleased works. The animation art included are for Perfect Blue, Millennial Actress, Tokyo Godfather, Paranoia Agent, Paprika and the unreleased Dreaming Machine that Satoshi Kon was working on when he passed away. There are also some storyboards included for an anime short Ohayou. The animation art are wonderful that I wished there were more. The coverage is around 80 pages. Paranoia Agent has only 3 pages and Paprika only 4. Other films have more pages of artworks. The latter part of the book features Satoshi Kon's comic works which are from the early part of his career from 1980s onwards. The comic drawing style is of course very different from the cleaner anime art. There are other paintings, music album art, still life drawings and other miscellaneous projects. The works are quite a revelation to me as I only know of his animation work. Somehow, I felt more content could have been included especially considering his filmography. But as it is, it's a really nice artbook.